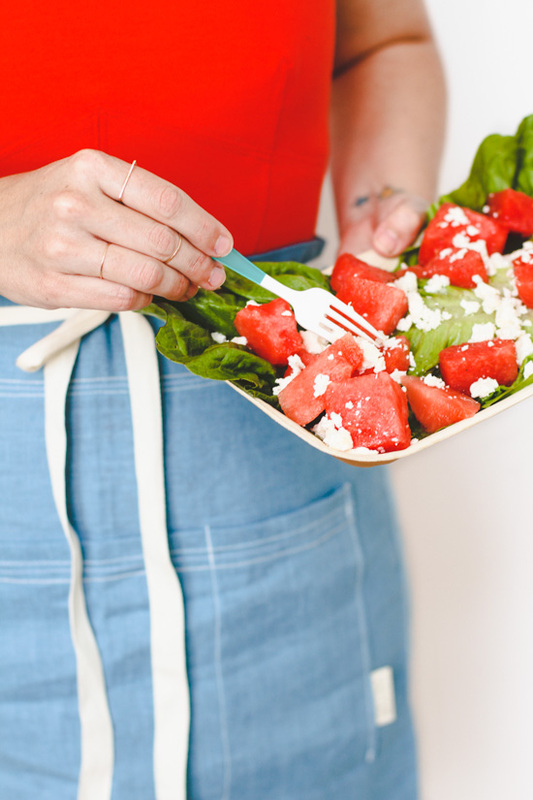 As promised, I have that easy summer salad recipe to share today, for a watermelon and feta salad. 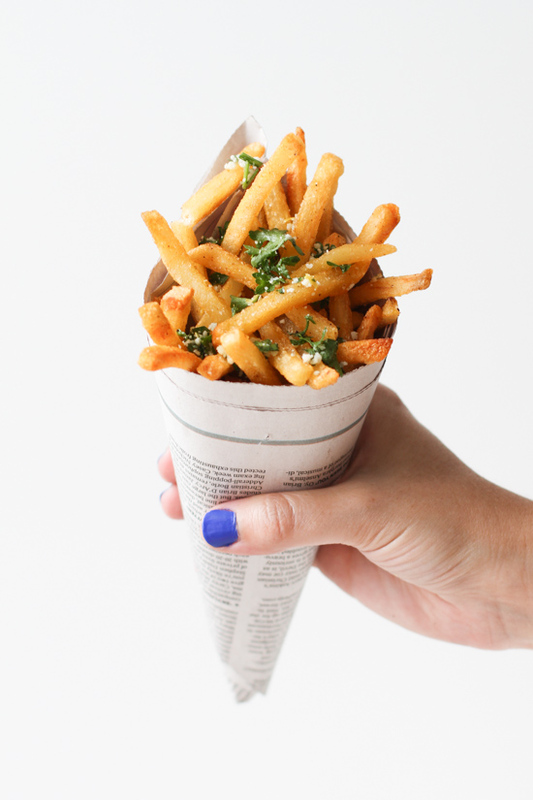 This quick recipe has become my go to lunch lately…to make up for all of those french fries and (blueberry) cheesecake slices I’ve been devouring. And it’s definitely a good one to try on a hot day. Which is now literally every day here in Atlanta. Or make a large batch for the Fourth of July weekend. For a single serve salad, wash 3-4 large leaves of lettuce and pat dry. Cut up a good amount of small to medium sized chunks of watermelon, to your liking. Add to salad. I’m pretty into watermelon, so I cut up 15-20 small pieces. Next, cut a lemon in half and squeeze the lemon juice on top of the salad. Add crumbled feta and sprinkle with sea salt and cracked pepper. Enjoy! P.S. If you’re in the market for a new apron, I basically live in the indigo cafe apron from Celina Mancurti, so I’d say it’s a winner. 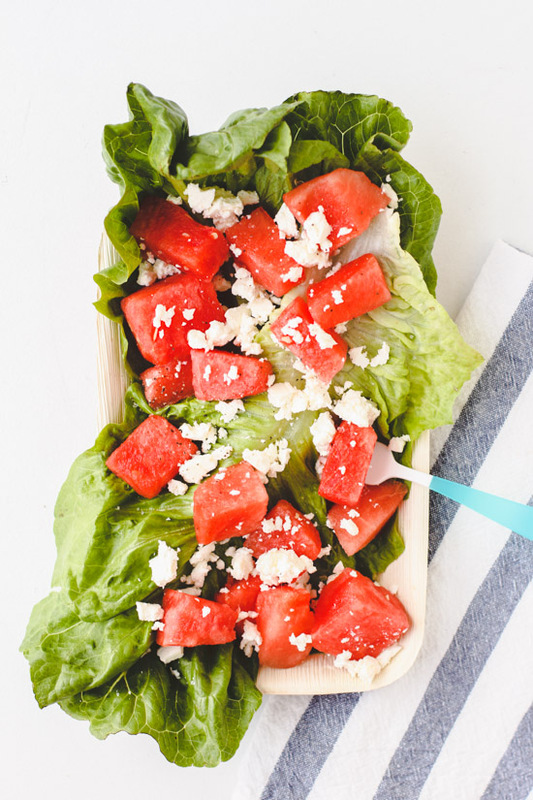 Curious to know…What would your perfect summer salad have in it? Lots of fruit, roasted veggies, loaded with cheese? I’d love to hear about it. Thanks for stopping by, Jane. 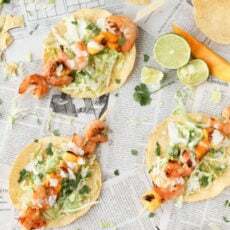 I’ll be rolling out quite a few summer recipes, so be sure to come back often for new ideas. Ohh yes! You could top anything with feta and I would be ALL OVER IT. Haha. That’s exactly how I feel too, Kel. This seems like the perfect thing for a hot summers day! Can’t wait to try it! It really is pretty perfect for a hot day, Layla. Let me know how it goes. that looks refreshing…nice and light. This looks delicious! 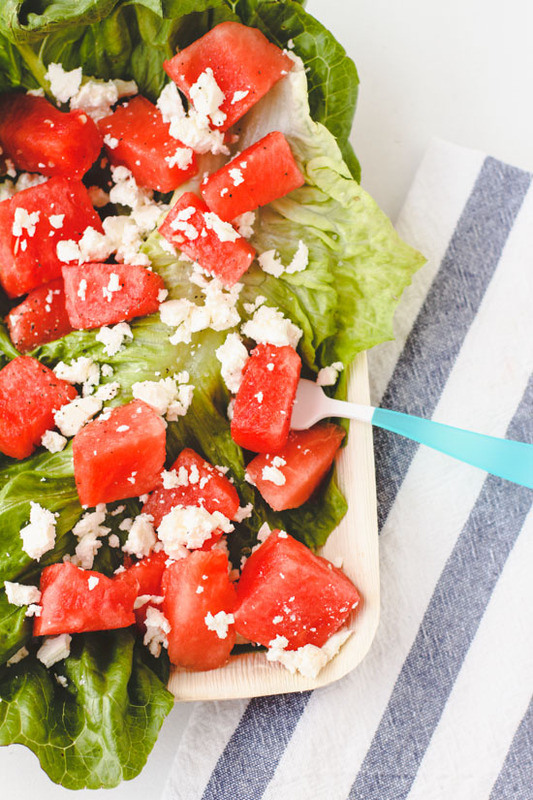 I love watermelon, so this salad is perfect for me! I too have been “into” watermelon! They have been so sweet and juicy that they are truly a “beat the heat” go to fruit! I must try it with feta, sounds good. Thanks for sharing. 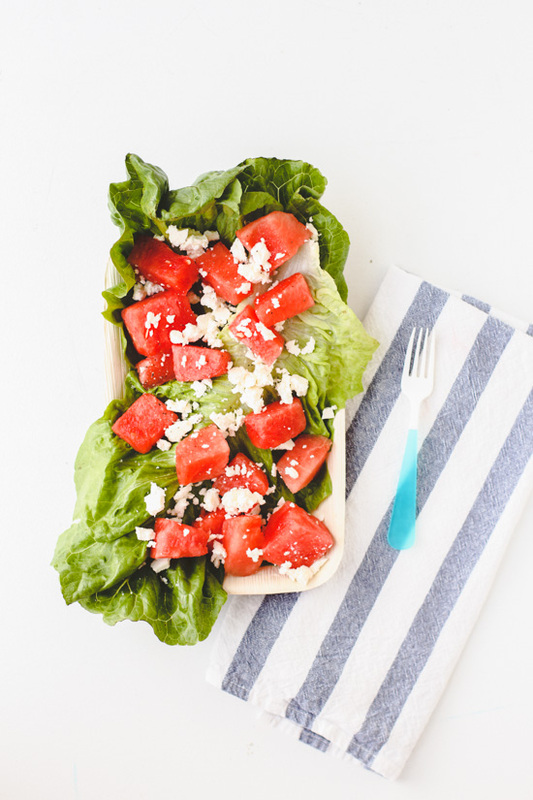 Watermelon and feta has always been one of my favourite combos! So. Freaking. Good. 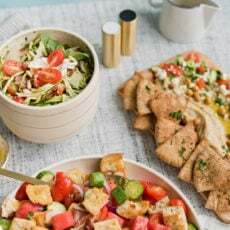 We’ve done similar salads with fresh mint instead of romaine, and a light lemon juice and EVOO dressing. It’s FABULOUS!! !